The tide could be turning. The rusty patched bumble bee became the first bee species to be listed as endangered earlier this year. There was a 33% decline in bee hives in 2016, according to an annual survey of beekeepers. And bee scientists are still unsure what triggers the mysterious Colony Collapse Disorder, when bees abruptly flee a hive en masse. All of that paints a pretty grim picture. But there’s also some good news. The US bee population grew 3% in the first quarter of 2017 to 2.89 million, according to a survey by the USDA. And the number of hives lost to Colony Collapse Disorder declined by 27% compared to the same period a year ago. This trend continued between April and June as well. Further, the varroa mite, the number one threat to bees, was found in 42% of hives, down from 53% during the same period last year. While it might be too soon to celebrate, these improvements show that both bees and beekeepers are adapting and could be turning the tide on the massive losses that have been sustained over the past two decades in the US. The bee population is vital to global agriculture and their long-term survival has wide-ranging benefits. It’s estimated that one in three bites of food in the US are directly and indirectly pollinated by honey bees. In Europe, 4,000 vegetables varieties are pollinated by bees. 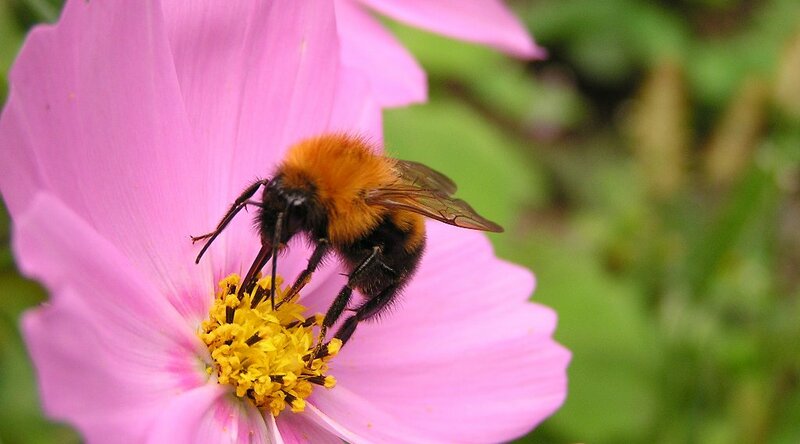 Bees are also enable the majority of flowers in the world to reproduce. Bees still face a range of threats from mites, pesticides, bad weather, lack of food, and more, that have to be addressed if populations are going to continue to grow. Beekeepers say that these recent gains in hive populations have more to do with replenishment efforts than with actual, long-term recovery. Replenishment is when bees from a healthy hive are transferred to a new hive, which expands the total number of hives, while weakening original hives. Ultimately, beekeepers are trying to maintain this progress by coordinating with farmers on when pesticides are used, diversifying hives, and supporting more research into the risks faced by bees. One strain of pesticides known as neonicotinoids has been identified as a potential cause of Colony Collapse Disorder and the Environmental Protection Agency is considering a ban on it and several dozen other pesticides in areas where bees pollinate. These efforts have implications for more than just bees. For foods as diverse as apples, almonds, and broccoli to still be available in the future, then the first quarter uptick in the US bee population needs to become the norm.